A penny earned is a penny saved, so they say. We all know that drinking coffee in coffee shops is increasingly expensive. And, brewing your own at home is a much more economical option, even when buying beans or grounds from the more expensive end of the price range. How much a cup of coffee brewed at home costs compared to a cup from a coffee shop? How many cups of coffee in a pound of grounds or beans? This is not as simple a question as it might first seem; here we look in more detail some of the possible answers. 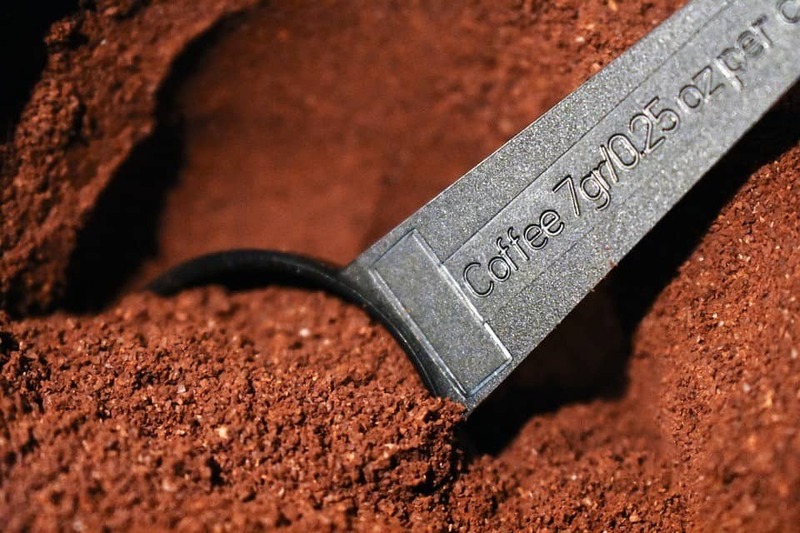 How many cups in a pound of coffee grounds? How many tablespoons per pound of coffee? How many cups of coffee in a pound of coffee beans? We’re going to start by giving you a figure. And then we’re going to explain why it’s not always true. The ideal ratio of coffee to water is 55g to 1l – or to 1.9oz grounds to 33.8oz water. We’ll spare you the calculations, but we make that about 47-48 6oz cups per pound. There’s your answer, about 47 cups per pound of coffee. This is what the SCAA refers to as the “Golden Cup Standard” – but unfortunately, this is not the only possible answer. Let’s have a look at why. Check out this video explaining some of the different types of coffee drinks. These are just some of the most basic coffee drinks, but the list goes on. For starters, different coffees are made in different ways, all requiring varying amounts of grounds. When trying to work out cups per pound, we need to know which brewing method we are talking about. Next, there is the size of the cup. Obviously, a 12oz cup requires more coffee than a 6oz one, making this a significant variable. Then there are unknowns like the individual barista preparing the coffee. 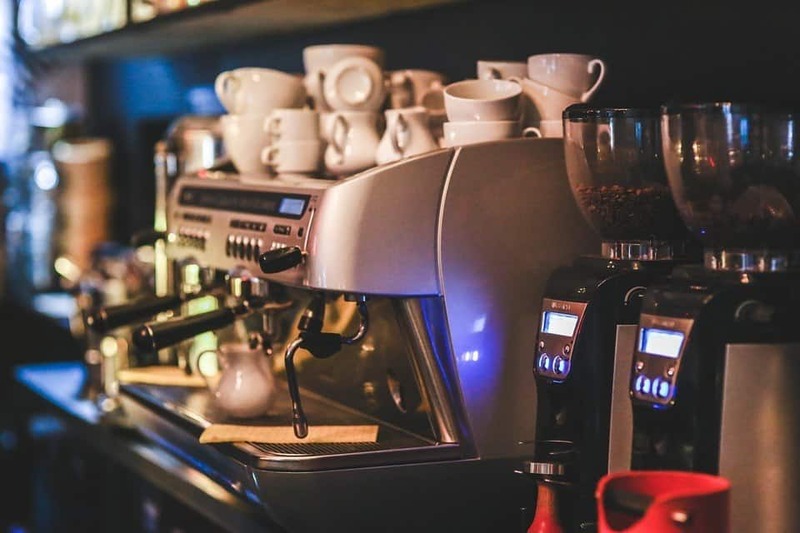 Baristas in large chains will have been trained to measure the exact amount of coffee per cup; those working in smaller, independent cafés may have more freedom. And of course, if you are making your own coffee at home, your own personal preference is important. How strong do you like your coffee? Some may use more or less ground coffee per cup according to their own taste. According to NCAUSA, the “Golden Ratio” is one to two tablespoons of coffee per 6oz of water – but the difference between using one or two tablespoons for how much coffee you will get through is huge! Finally, type of coffee, roast, grind and so on may also affect the amount of coffee required per cup. We will spend the rest of this article looking at the most important variables to try to give you a range of answers to the question of how many cups per pound. Very often, if you look up guides for making the perfect cup, you will often see instructions like “use two tablespoons for one cup”. So how much coffee is there in a tablespoon (2)? The problem here is that a tablespoon is not an exact measurement, and one person’s tablespoon can be very different from another’s. How big is the spoon you are using? How “heaped” is the spoon of coffee? It’s impossible to give a definitive figure for this. A quick search online will give you a range of values, such as 5.3g (0.18oz), 7g (0.24oz) or 8.7g (0.30oz). The simple answer is that a tablespoon is not supposed to be an accurate measure, it’s a visual estimate. While that might be fine for preparing a quick cup of coffee in the morning as you race to leave the house, it’s not the most helpful term for this discussion. For the sake of simplicity, we will take a tablespoon to have a range of 5-10g and then we will try to work out the answers for you from there. 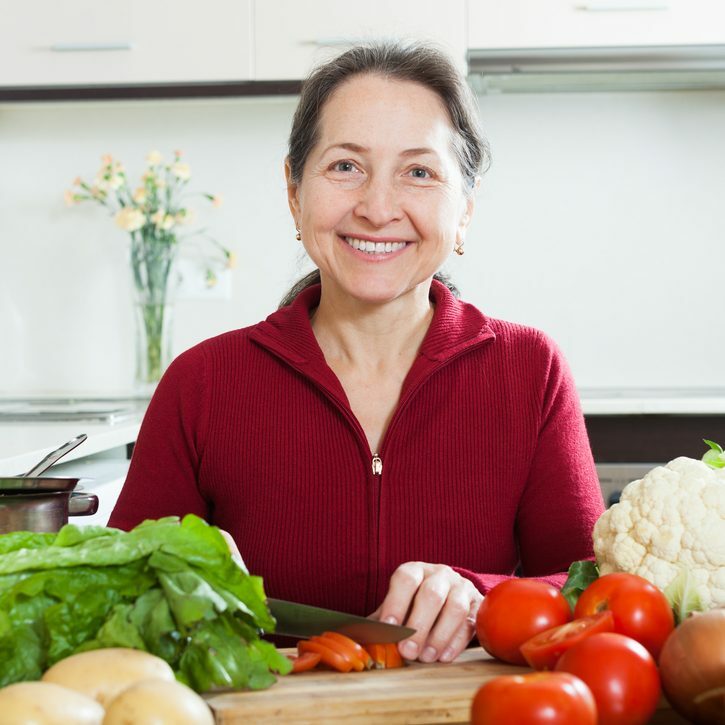 Using these values, you can expect about 45-90 tablespoons per pound – depending on the size of your spoon! Keurig-style machines that use pods aside, drip coffee is still probably the most popular way of making coffee at home. Drip coffee machines are easy to use and consistently produce good coffee, assuming you know how to dose them correctly and are using the correct grind, etc. Most people will tell you that the correct dosage for a drip coffee machine is two tablespoons for a 6oz cup of coffee. Using this much coffee and using the range we stated earlier, this would give you between about 23 and 45 6oz cups per pound of coffee. You may also like: Gaggia Accademia Review – Is It Worth the MONEY? You can see how much variation there is depending on the size of your tablespoon. With drip coffee, as with any other coffee, you can experiment with how much you use when making the coffee, but you should find your consumption lies within this range unless you prefer extremes of weak or strong coffee. For many coffee aficionados, the pour-over is the best way to brew, especially when using specialty coffees. This method allows the subtle and complex flavors of an exceptional coffee to shine through to be appreciated by the true connoisseur. 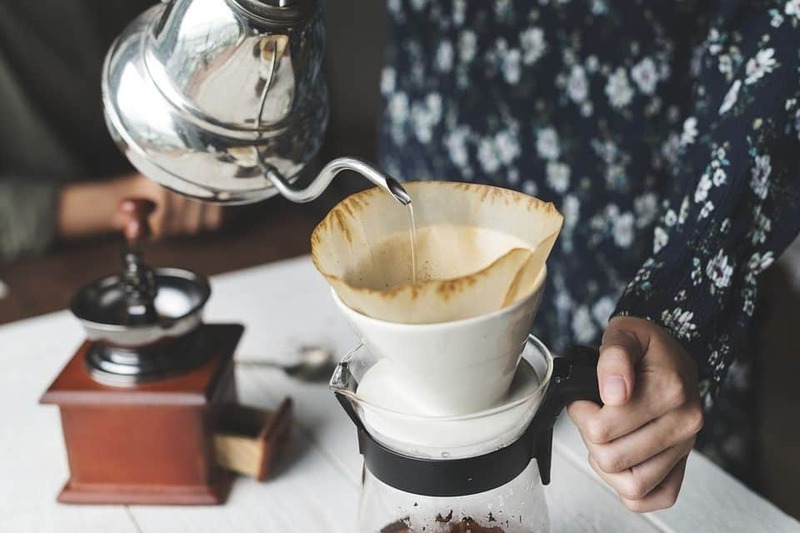 Using the pour-over method is much more of an art than using a simple drip machine, but at least one thing that is easy to control is the amount of coffee you use. Again, the recommended amount is two tablespoons, but when a properly-trained barista makes a drip coffee, they are more likely to measure the coffee on a scale than to judge by eye – and using 10g is more likely than 5g. In any case, the number of cups produced would be roughly the same as for drip coffee, 23-45 6oz cups per pound, but would tend to be nearer the lower end of the scale. Another popular way to make coffee at home is to use a French press. 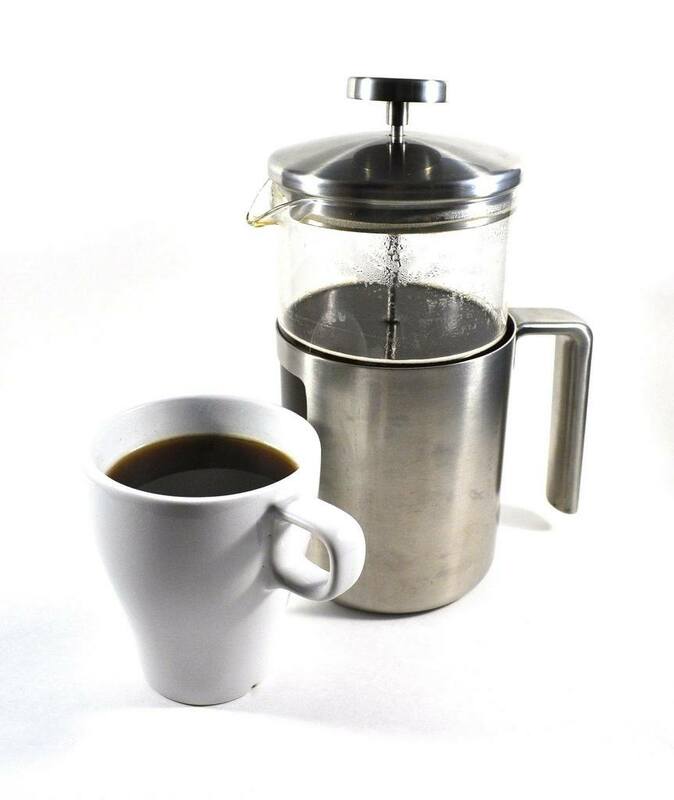 The variables you need to control carefully when making French press coffee include grind size, steeping time and ratio of water to coffee grounds. Again, as with other methods of making coffee, the exact amount you use can change depending on your taste. So how much should you use? Sometimes, when making French press coffee, people talk about a ratio of 1:10 coffee to water and this is a safe place to start. According to Illy, the ideal amount of coffee to water is 7-8g per 200ml – 6.7oz – of water (3). This is within the range of the other methods we have mentioned, although if we want to compare like to like, the tablespoon used should be at the lower end of the range. Still, depending on personal preferences, a pound of ground coffee will still produce in the range of 23-45 6oz cups. Of all the methods of making coffee, espresso stands apart from the others. This is because it is the only method that uses pressure to force hot water through the grounds and because the final drink is a much smaller, concentrated beverage. You don’t drink 6oz cups of espresso. The traditional espresso is from Italy, and according to the Istituto Nazionale Espresso Italiano, the correct amount of ground coffee is 6.5-7.5g for a single espresso. This would yield about 60-70 cups. However, as ever, things are not quite as simple as that. At least, for anyone outside of Italy. In the US, baristas tend to use a little more than the amount recommended by the Italian institute; 8-10g would probably be more common, and up to 11g or more is possible. However, it is also much more common in the US to pull double espressos since they are more commonly used in espresso-based drinks like lattes – but a double espresso doesn’t require double the dose. For a single dose using 11g, a double could require as little as 17g. This would give a range of something like 41-56 singles or 27 doubles per pound. Check out this video of two baristas discussing brew ratio. Has anybody ever asked you that old trick question, what weighs more, a pound of lead or a pound of feathers? Of course, the answer is that they weigh the same, the only thing that is different is the amount of space they take up, the volume. With coffee grounds and coffee beans, it’s the same thing. A pound of coffee beans is the same as a pound of ground coffee and both will produce the same number of cups. The only difference is that a bag containing a pound of coffee beans will be larger because they take up more space. 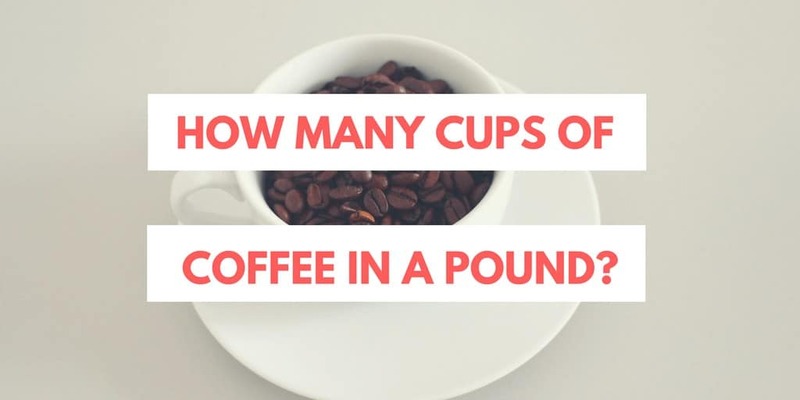 We hope we have answered some of your questions about how many cups of coffee in a pound. In fact, the most important variable is you since everybody has different tastes and whatever makes great coffee for you is the right amount to use. How many cups can you make from a pound of coffee? How much coffee do you use to make espresso? Do you think these guidelines are too high, too low or just about right? Please let us know your thoughts as we love hearing from you – and please don’t forget to share!